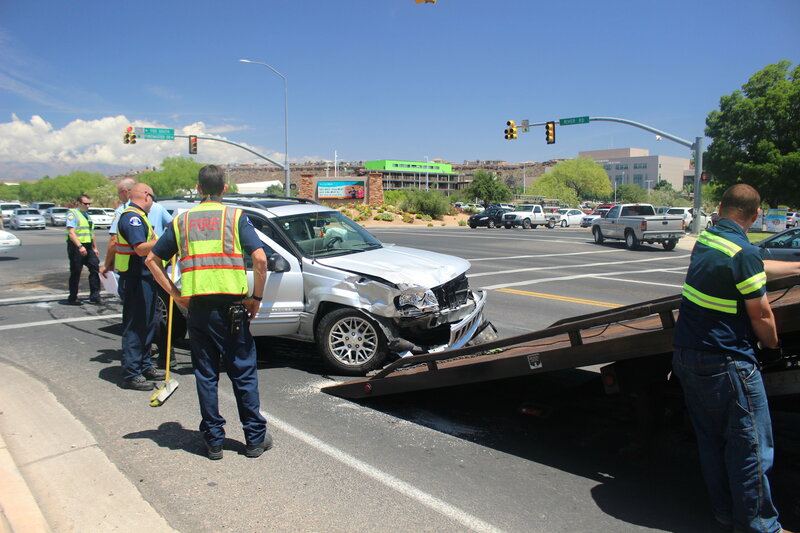 ST. GEORGE – A collision at the intersection of 700 South and River Road temporarily impeded traffic Thursday afternoon and inadvertently led to a second crash down the road. Around 12:45 p.m., a 2004 Ford F-150 was southbound on River Road when it crossed into the intersection on a green light. While doing so, it collided with a northbound 2003 Jeep Cherokee that had begun to turn left onto 700 South, St. George Police Officer Jamison Hale said. The impact left heavy front-end damage on both vehicles and caused air bags to deploy. Both vehicles had to be towed from the scene. While the drivers of the Ford and Jeep each complained of experiencing pain following the crash, both declined transport by ambulance to Dixie Regional Medical Center, Hale said. The driver of the Jeep Cherokee was cited for failure to yield. Eastbound traffic on 700 South stalled somewhat as police and others dealt with sorting out the details of the collision and clearing the scene. As this was taking place, traffic in the eastbound, inside lane (the lane closest to the middle/turning lane of a five lane street like 700 South) had come to a stop, while traffic on the outside lane continued to move. During this time a car in the inside lane had stopped to wave at the driver of a car in the middle lane through so she could drive into a subdivision, St. George Police Officer Dave McDaniel said. The woman began to turn left across the lanes when her car collided with an oncoming car in the outside lane. 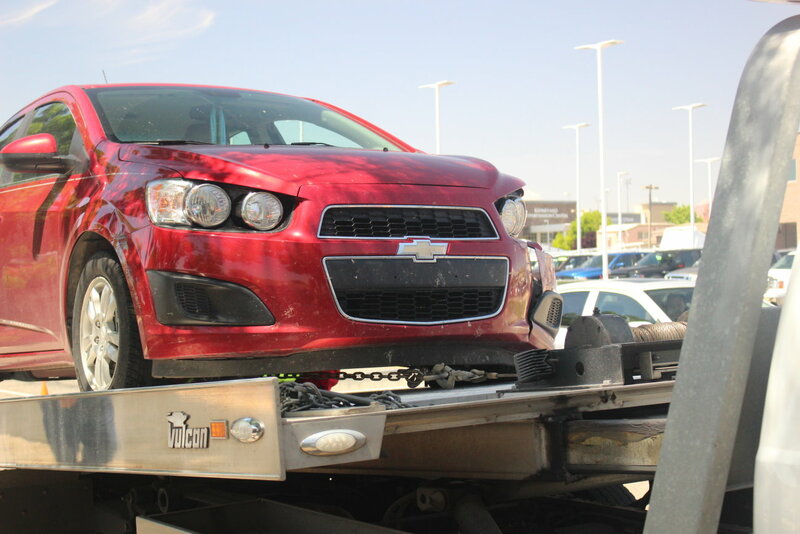 The collision resulted in the car that hit the woman having to be towed. No injuries were reported and McDaniel said the woman making the left turn into the subdivision could face a citation for failing to yield to oncoming traffic. While you might think you’re doing someone a favor by stopping and letting them make that turn, McDaniel said the police advise against it. You can’t control whether or not the cars in the lane next to you are going to stop, he said.